Ädelbrook is committed to programs of Equal Employment Opportunity and Affirmative Action. Accordingly, all decision affecting our staff are made on the basis of Ädelbrook’s mission, personnel policies and applicable state and federal laws. Decisions are made without regard to race, color, gender, gender expression, sexual orientation, religion, age, ancestry, veteran status, national origin, marital status or handicap. Our careers page at Indeed has our current employment opportunities at Ädelbrook. Here you can see a current listing of openings as well as send your application. You can also apply by sending a completed application, DCF form, updated resume, three written letters of professional recommendation, and a copy of professional license/credentials to hrstaffing@adelbrook.org. Ädelbrook is committed to programs of Equal Employment Opportunity and Affirmative Action. Accordingly, all decisions affecting our staff are made on the basis of Ädelbrook’s mission, personnel policies and applicable State and Federal Laws, without regard to race, color, gender, gender expression, sexual orientation, religion, age, ancestry, veteran status, national origin, marital status or handicap, unless such a disability prevents the performance of the essential functions of the job. For more than 100 years, Ädelbrook has been dedicated to meeting the unique needs of children and families in various capacities. Our goal has been to meet the ever-evolving developmental and behavioral challenges of children, young adults and families, impacted by Autism Spectrum Disorder (ASD) and other neurodevelopmental disorders. We are constantly in search of top talent in various fields that align with our mission and values to support us in delivering exceptional care. We provide a continuum of care in behavioral and developmental services through an array of services including: Residential, Educational, In-Home and Community-Based Group Homes. We offer specialization in Speech Language Pathology, Occupational Therapy, Vocational Training and Therapeutic Recreation, just to name a few. We are a Christian organization that has remained consistent in our mission of “Providing hope and healing for young people and families”. We deliver excellence in person-centered care provided by our well-trained, diverse and compassionate staff. We also have our own dedicated Training Academy, designed for specialized training and developmental opportunities for our employees. Our Training Academy is able to customize trainings to meet workplace needs at varied learning levels. We offer competitive salaries, paid training and a generous benefits package. Our comprehensive benefits include affordable medical plans, employer paid life insurance STD LTD, matching 403B plan, paid time off, flexible hours, and tuition reimbursement. In addition, we promote growth and offer advancement opportunities to our internal staff. Click here for our detailed benefits package. Applications will be reviewed by the Human Resources department and kept in an active file for up to 6 months. We individually contact the applicants whose skills and abilities best match the requirements of the position. We then schedule interviews, and upon selection, will process extensive background checks, including DCF, State, and Driver’s Record. Upon successful completion of the vetting process, those chosen for hire will be scheduled for orientation and one week paid training. Successful completion of training is required for most positions in the organization. We only provide employment verification through a written request. Please send a request to our Human Resources Department via email at employmentverification@adelbrook.org or fax us at (860) 635-4628. At Ädelbrook, we have collaborated with the Educational Testing Services (ETS) to offer the ParaPro Assessment, a general aptitude test that is required by the Connecticut Board of Education for paraprofessional certification. If you are interested in taking the ParaPro Assessment please contact us directly at hrstaffing@adelbrook.org. We provide a myriad of training and development opportunities for Ädelbrook employees. From orientation to program-specific curricula, the Academy is able to tailor its courses to meet workplace needs at varied learning levels. We have specialty training which supports those challenged with developmental disabilities and autism. The Academy works with the START Informed Services program to provide community-based trainings to staff who work with developmentally / intellectually disabled persons and those on the Autism Spectrum as well as trainings for family members. The Academy offers the College of Direct Support which provides online training specifically regarding developmental disabilities and autism. 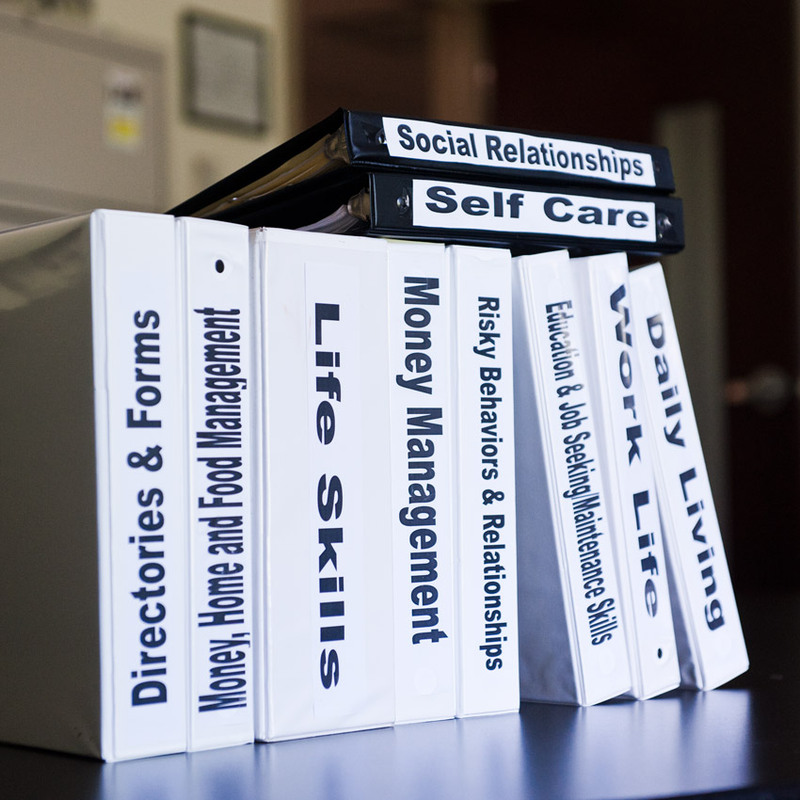 Through the College of Direct Support, staff complete online modules that are specific to their position within three months of hire and are able to receive required Continuing Education Units (CEU’s) by completing these courses. Additionally, the Academy provides regulatory training for staff that are required by the Connecticut DCF as well as our accrediting agency The Council of Accreditation (COA), such as CPR and mandated reporting. For more information about the Training Academy, please contact Training Academy Coordinator Ed Laureano at (860) 540-4300 x4304 or via email at elaureano@adelbrook.org.